Woke up with ulcer pain from the pit of hell. Ouch! Watched the start of the F1 with Noid and Kev and lay down, waiting for the pain to go. Noid gave me some cornflakes and coffee and when everyone was ready I got up. We went to the Uvongo flea market which I have always loved. Not sure if it is because it is Sunday or maybe it is not so popular anymore but it was tiny and very unexciting. Sadly so. Not even a pancake in sight! We took a drive out down the coast, checking out all the spots…. I love driving like that at the coast, wind in your hair…. 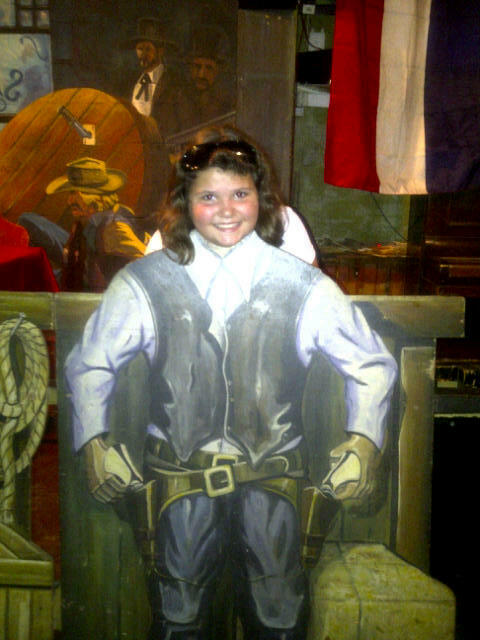 Pistols Saloon was on my list of things I would like to do. They use to have this pig that walked around like a dog but he died, so now there is a donkey! Poor Douglas got such a fright when the donkey mistook his orange fanta for a carrot and made a big mess over the table. Everyone liked the decor and museum although the staff was seriously unfriendly. We had pizza which was really nice and off we went to Riverbend Crocodile Farm. 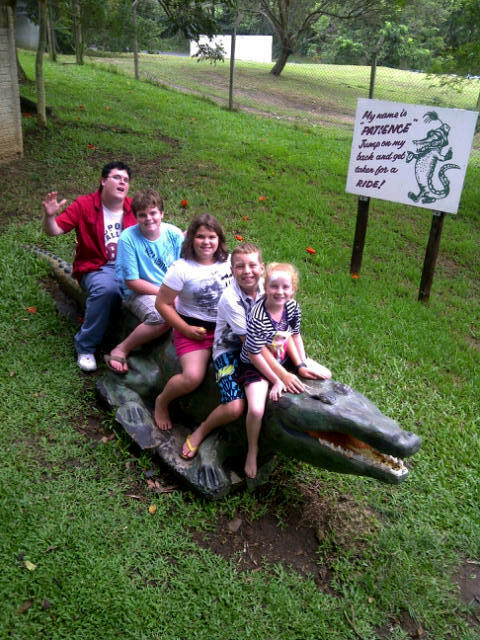 Riverbend Crocodile Farm is a place we have visited since Victoria was three months old!! We watched a snake presentation with interesting facts and then watched the crocodiles being fed chickens. Feathers and all! I did not have my big camera bits with me. So many lovely photo opportunities. It was all very cool. Lucky for us the last batch of crocodile eggs hatched today. It was amazing hearing what happens when and seeing these crocodiles being born. This was my favourite moment of the day. Afterwards kids were allowed to hold a new born crocodile. As the crowds left, I asked if I could….. This from a woman who have never held a puppy or a kitten. Even her own kids she recommended bath first! Hahah! It was awesome and very exciting. The kids swam in the pool the rest of the day. I bathed and read the local newspaper. Noid was by now ill with stomach ache. I made ham and cheese rolls for supper and had to repeat three times that I am not taking orders. This is not a restaurant! I also washed the dishes twice. Far too primitive for me. After seven months on my own I find it strange to be a step-mom, having Noid around 24/7 and dealing with my own kids….. not pushing the shopping trolley AND besides all that goes on in my head. Life’s small challenges!? We still want to go to the saloon – one of the few places we have not been to yet. The coffee farm (I think it is Beaver Creek?? is one of our favorite places to go to and the light house at Port Edward. And I love to go to the very strange little “shop” close to it the coffee farm – Imithinin art ware I think. We used to love Macbananas but had a rather unpleasant last visit there. There were not proper pancakes at the flea market…. I saw them but didnt want any! !